A homeless encampment along the Santa Ana River bike path near Katella Ave. in Orange, Sept. 15, 2017. Today, the Orange County Sheriff's Department began patrolling the homeless encampments along the river, along with officers from local police departments. 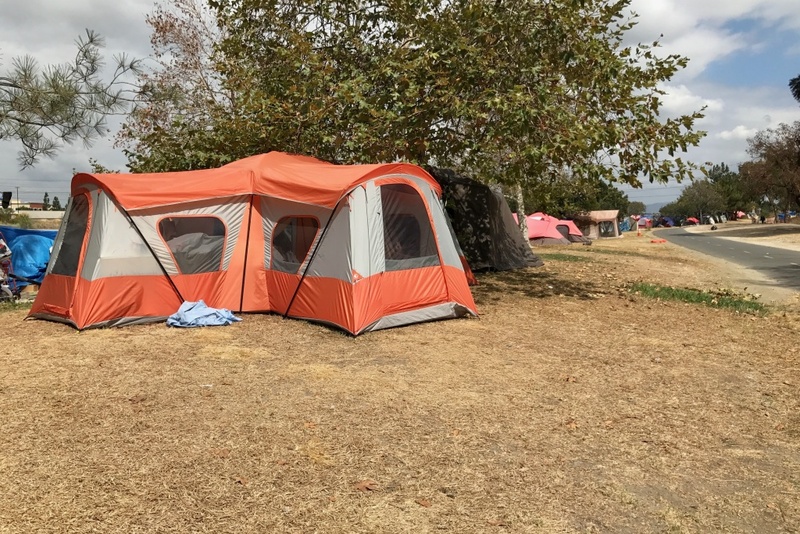 Last week, OC Board of Supervisors chairman Andrew Do told a federal judge that the county would provide motel rooms and other forms of shelter to those cleared out of the Santa Ana River camp. 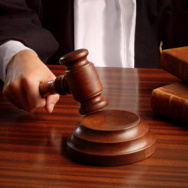 The plan was hammered out after Judge David Carter warned that the homeless were removed from the camp without first being given a place to go. The county ultimately agreed to pay for the rooms for 30 days. So how did the county get motel operators on board? Take Two spoke to Chairman Do to find out. Before I made that representation to the court, I spent the lunch hour talking to non-profit and philanthropic communities and worked with community leaders to tell them that we have this need and without this resource — i.e. the hotel rooms — we wouldn't be able to move ahead. 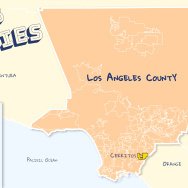 We have a group of us in Orange County who are of like mind and they got on the phone. Between them and our staff at the healthcare agency and Susan Price, our director of care coordination, they were able to put together a significant number of motel rooms. How much are you paying hotel operators? I don't really have the exact numbers. The range I was told from the beginning was anywhere from $75 to $125. These are not the normal motels or hotels for tourists — we're talking about a particular type of accommodation that's not in the high-visibility areas or frequented by tourists. It's more in the neighborhood, so they tend to be lower rent anyway, to begin with. What happens next for these people? We're working through them now. We've never gone through a process like this, as you can imagine. We are relocating an entire area with potentially up to 600-700 people at one time. The challenge is: OK, so once we offload these individuals off of the riverbed, then our attention should focus on the next 30 days. If there's a person who was living on the riverbed that smoothly went into a motel room and now has 30 days... When those 30 days are up, what's the plan for that person? The plan is for them to go into transitional housing with wrap-around services.